Our mentors are friendly, experienced Ruby developers who will help teach you new techniques and tricks. Ruby was created as a language of careful balance. Its creator, Yukihiro “Matz” Matsumoto, blended parts of his favorite languages (Perl, Smalltalk, Eiffel, Ada, and Lisp) to form a new language that balanced functional programming with imperative programming. He has often said that he is "trying to make Ruby natural, not simple," in a way that mirrors life. Building on this, he adds: "Ruby is simple in appearance, but is very complex inside, just like our human body." You can read more about the Ruby language on its site. I loved the Ruby track (it is the only one I have finished so far). Solving over 80 different problems seems one of the most exciting ways to learn a language one barely knows. Improving my own solutions for readability and beauty rather than just passing the tests and performance taught me a little about Ruby and programming in general. I also liked comparing my solution to other ones - I could see the problem from other points of view. 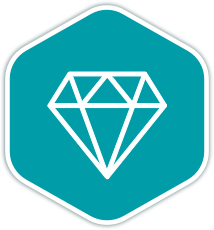 Once you join the Ruby language track, you will receive support and feedback from our team of mentors. Here are the bios of a few of the mentors of this track. What can I say? I love Ruby. And I believe it is one of the best languages for anyone to start out with. The syntax is beautiful, and you'll have a lot of support from the community (and me). I've been using Ruby for about 4 years now, and it is one of the reasons I still enjoy coding in my spare time. I'm a remote developer based in Manchester. Ruby is my first love but increasingly I'm focussing on Elixir. The open source community means a great deal to me and I attend (and occasionally speak at) various technical conferences. Learning Ruby was the turning point for me as a developer. Not only is Ruby a beautiful and extremely productive language, but I can say with certainty that if you are a beginner or intermediate developer that learning Ruby will significantly improve your code and workflow in all languages. I started writing Ruby 4 years ago when I co-founded Workplace Arcade. I quickly fell in love with the language and have been using it ever since. I'm very passionate about mentoring and co-organize a local ruby meetup. I'm a Ruby on Rails developer who thinks Ruby and the entire ecosystem is glorious. I've had a pull request merged into Rails, and love finding opportunities to contribute to open source. These are a few of the 92 exercises on the Ruby track. You can see all the exercises here. The Ruby Maintainers are the brains behind the Ruby Track. They spend their spare time creating interesting and challenging exercises that we can all learn from. We are incredibly grateful for their hard work. Here are the bios of a few of the maintainers of this track. 25+ years experience as a software engineer, specializing in the web since NCSA HTTPd and Mosaic. Ruby has been my primary language for the past 7 years; it fills me with glee. Get started with the Ruby track. As with everything on Exercism, it's 100% free!